The coolest ‘Refer and Earn’ program is here! Believe it or not, you can now earn with out shopping from here. And how is that, you ask? We say, you may not shop, but the friends of yours may shop online and this, friend will be your advantage. 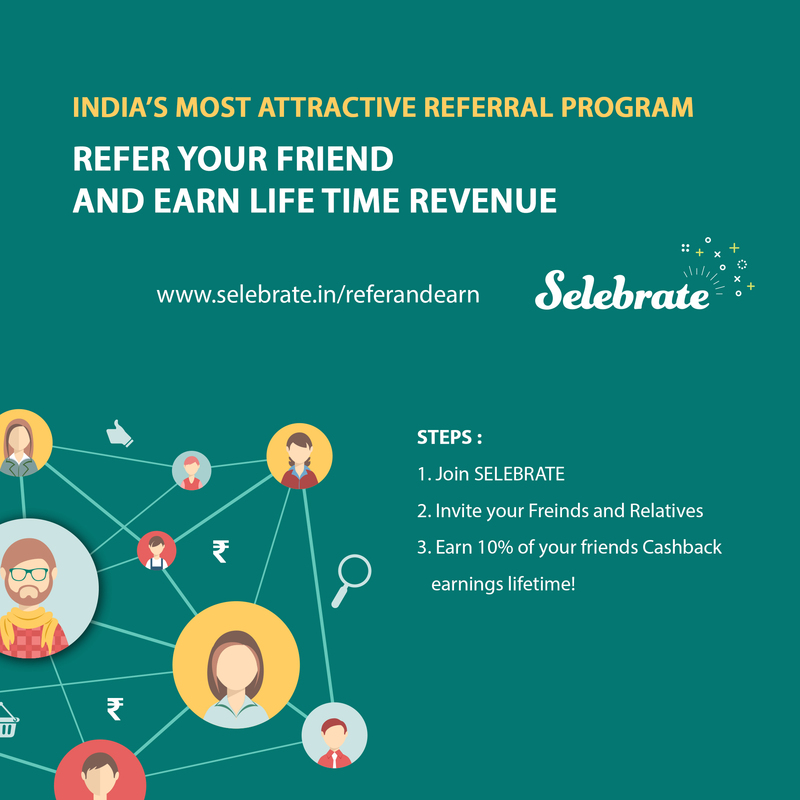 Go tell your friends that they can save money by shopping through Selebrate . Invite Your Friends , Earn 10% of their Cash Back and many gifts forever and ever. Just think. What if you have hundreds of referrals under you? Just think. What if you have hundreds of referrals under you? For Example, if your friend earns Rs. 5000 as cashback in a year, you earn 10% of it, i.e. you will get Rs. 500 as a gift of reference and token of thank you. 3. You will provided with a shareable link. Share it with your friends and ask your them to register under it. 4. And now nothing else to do. When your friend registers through that link, his/her Cashback Savings will be tracked, and shared with you and your total earnings will be updated correspondingly.